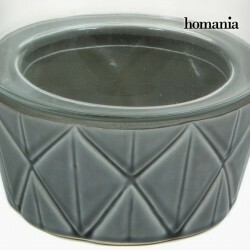 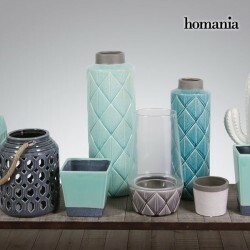 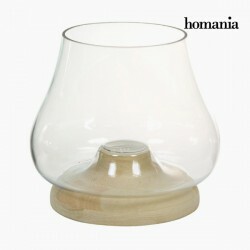 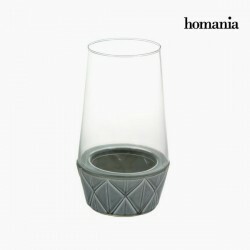 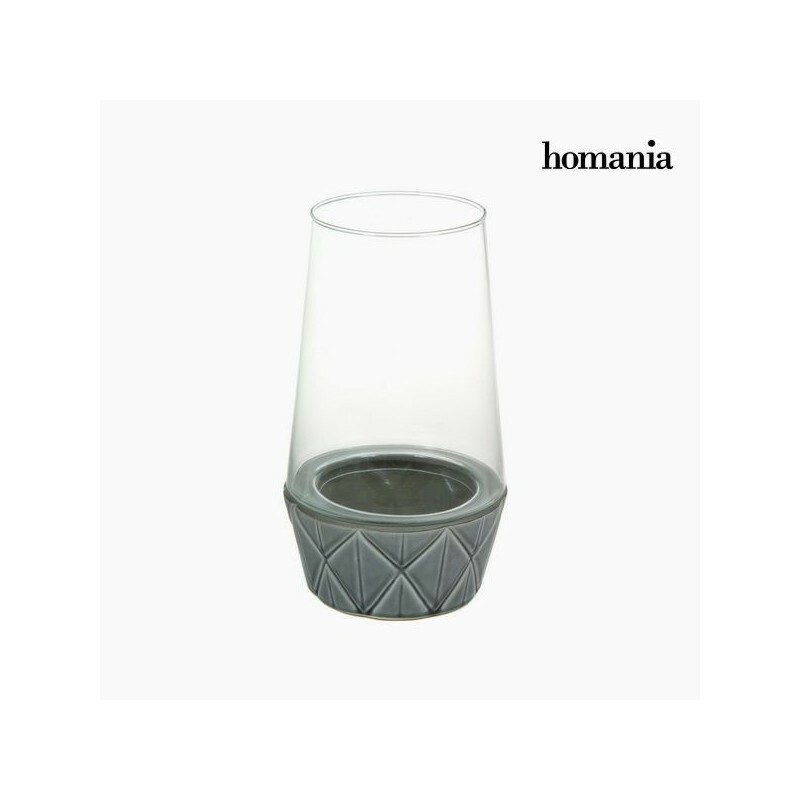 A glass candle holder, with a ceramic base, with geometric patterns, dark gray color. 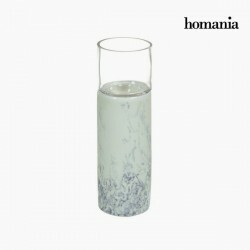 This candlestick measures 20 cm in diameter and 34 cm in height. 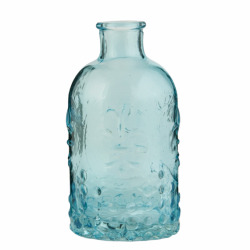 It will be perfect for lighting a corner of the living room for example. 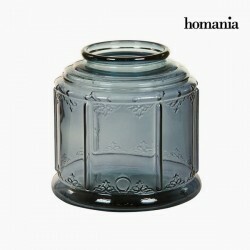 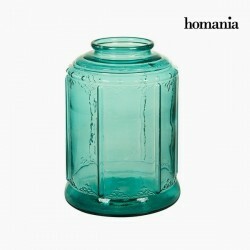 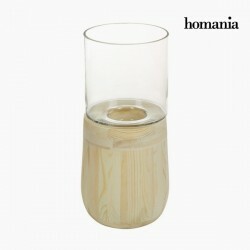 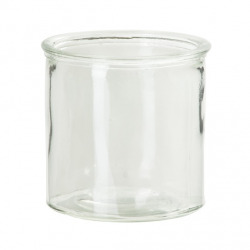 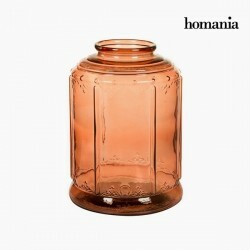 The glass candle holder, with its ceramic base, is a selection of my local delicatessen for the home.